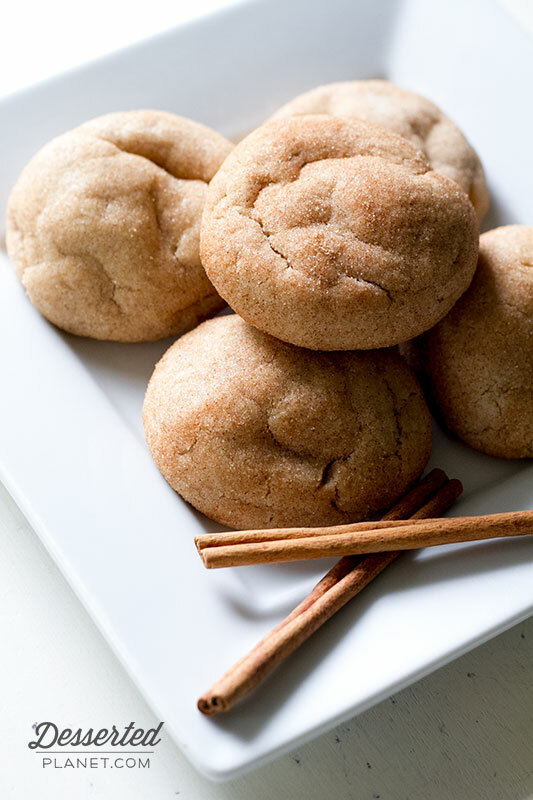 I never thought I was a huge fan of snickerdoodles until I found the recipe I’m going to share with you guys today. I mean, I always liked them ok but if given the choice, I’d probably choose a peanut butter or classic chocolate chip cookie. 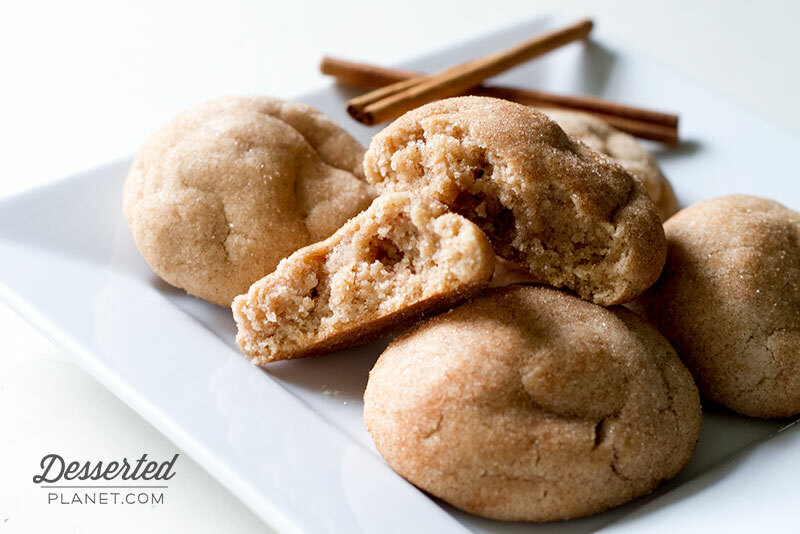 However, this snickerdoodle totally gives those other cookies a run for their money. Just like the title says it is totally soft and crazy thick and full of yummy cinnamon flavor! I took them to our gourmet cooking club the other night and heard several people say they were THE BEST snickerdoodle they’ve ever had. Yay! And I have to agree! 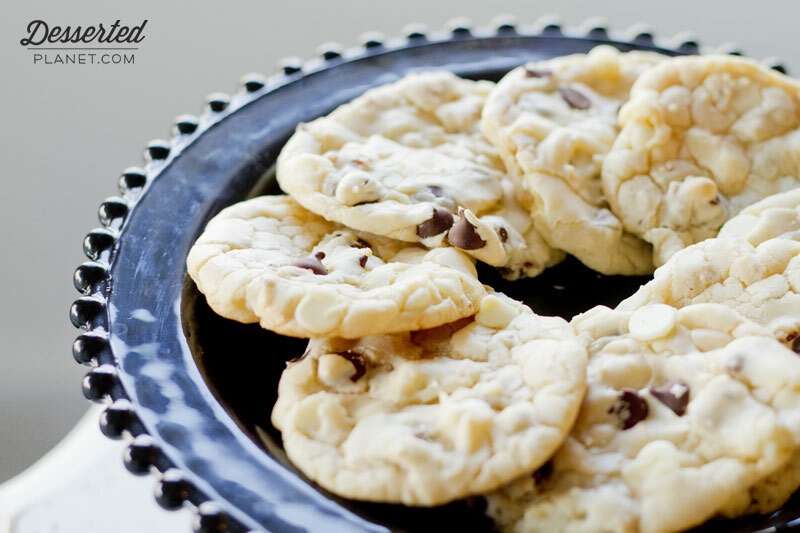 If you’re looking for a cookie you can whip up quickly and will get you rave reviews, look no further! This is it! Preheat oven to 375 degrees. Line two large cookie sheets with parchment paper. Set aside. Make the topping by tossing the ¼ cup granulated sugar with 1 teaspoon of cinnamon in a small bowl. Set aside. In the bowl of an electric mixer, cream the softened butter for about 1 minute on medium speed until smooth. Add the sugar on medium speed until fluffy and light in color. Mix in the egg and vanilla. Scrape down the sides as needed. In a medium bowl, whisk together the flour, cream of tartar, baking soda, cinnamon and salt. With the mixer on low speed, slowly add the dry ingredients to the wet ingredients in three different parts. The dough will be thick. Roll 1.5-2 Tablespoons of dough into a ball and roll in the cinnamon-sugar mixture. Bake cookies for 11-12 minutes, rotating pans and switching racks halfway through. Let cool on the pans for two minutes and then transfer to a wire rack and let cool completely. I am still on a healthy sweet kick around here! Hope you guys don’t mind! 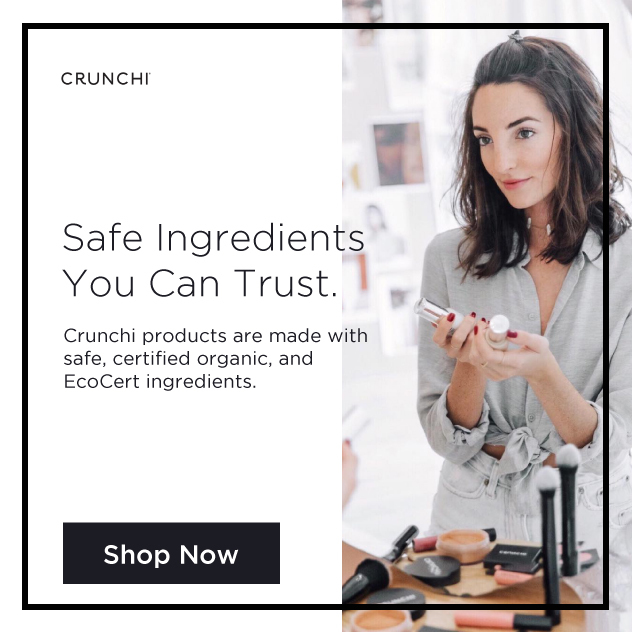 I have been craving chocolate like MAD lately but didn’t want all the refined sugar, dairy and other junk that comes in commercially produced chocolate. 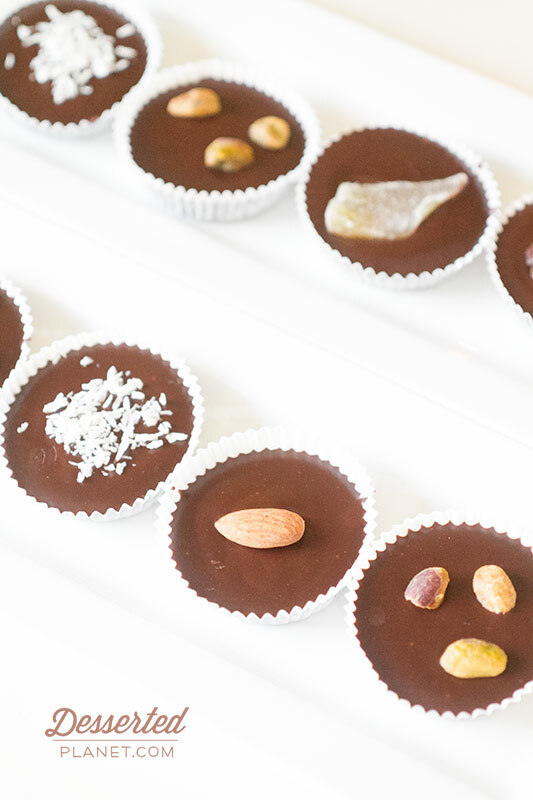 And believe it or not, you can actually make chocolate HEALTHY. Well, ok, I’m not sure it would be classified as a health food but it’s 1,000x’s better than what you’d buy at the store. 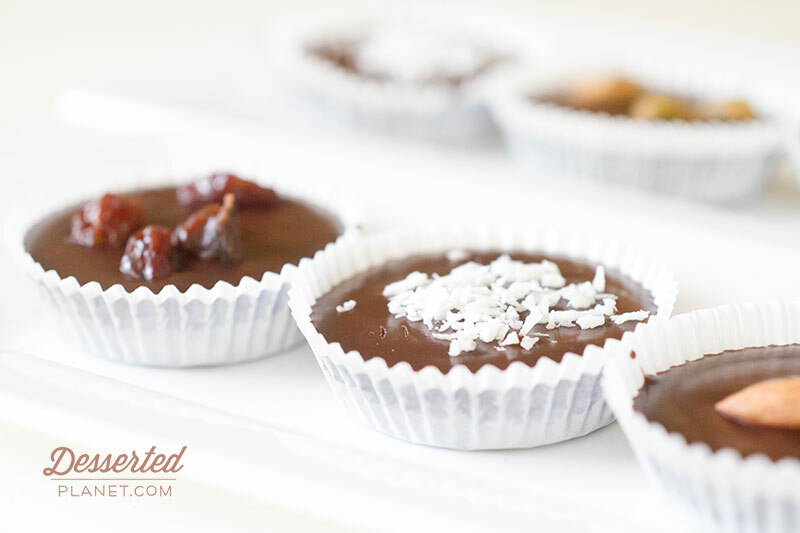 Good fat from coconut oil and organic cocoa make these little gems possible. Seriously, we love them. Yes, hubby loves them too which is the true test of course! 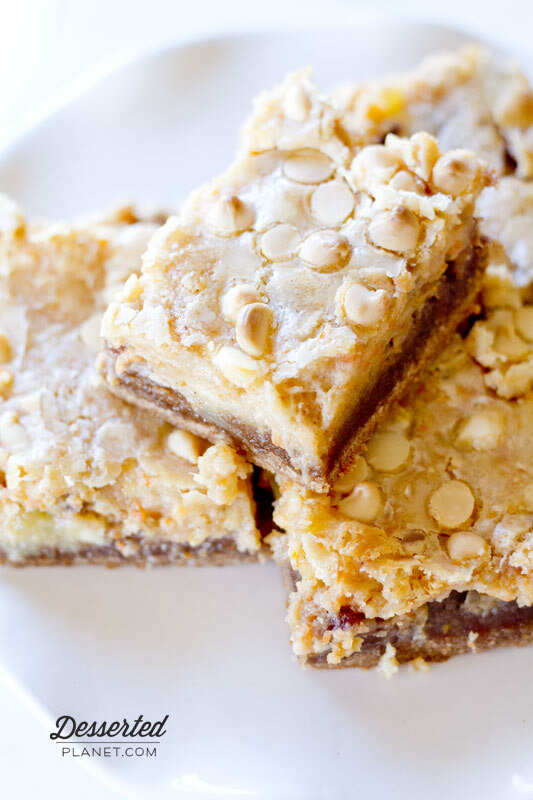 I topped mine with coconut, raisins, pistachios, almonds and dried mango. Next time I’m going to experiment with pure mint oil, peanut butter and a few other variations I have running through my brain. I can’t wait! Place mini muffin or candy cups on a cookie sheet. In a medium bowl, melt coconut oil. Whisk in cocoa, agave and vanilla all at once. 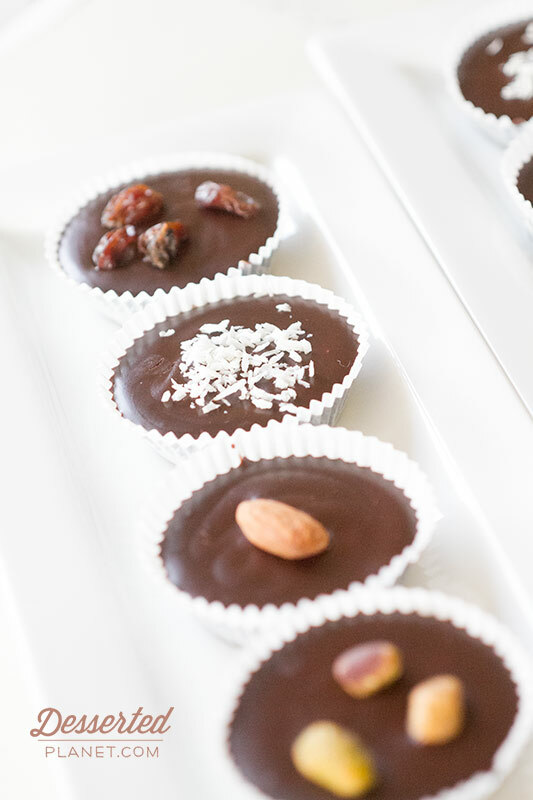 Spoon chocolate into muffin/candy cups and top with toppings of your choice. Place in freezer for 5-10 minutes until hardened. Store in refrigerator or freezer. 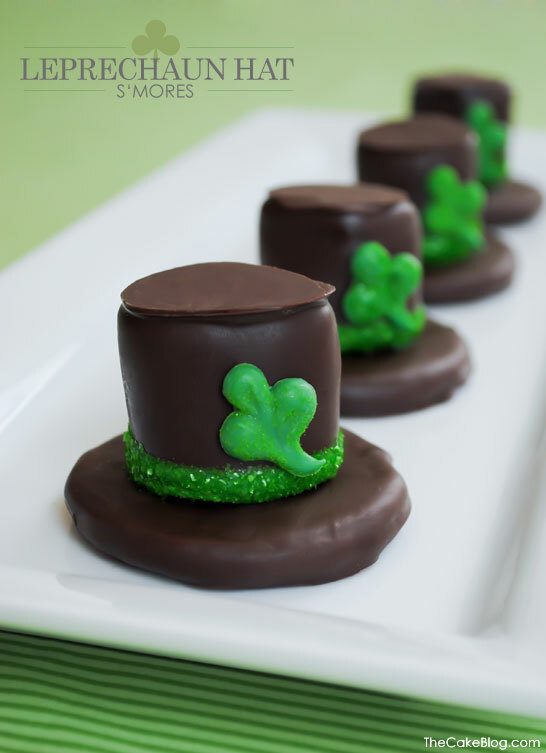 Makes 15, 1½" chocolate candy cups. I think it has finally happened. I may have found the PERFECT chocolate chip cookie. I’ve searched high and low and my journey may be over! 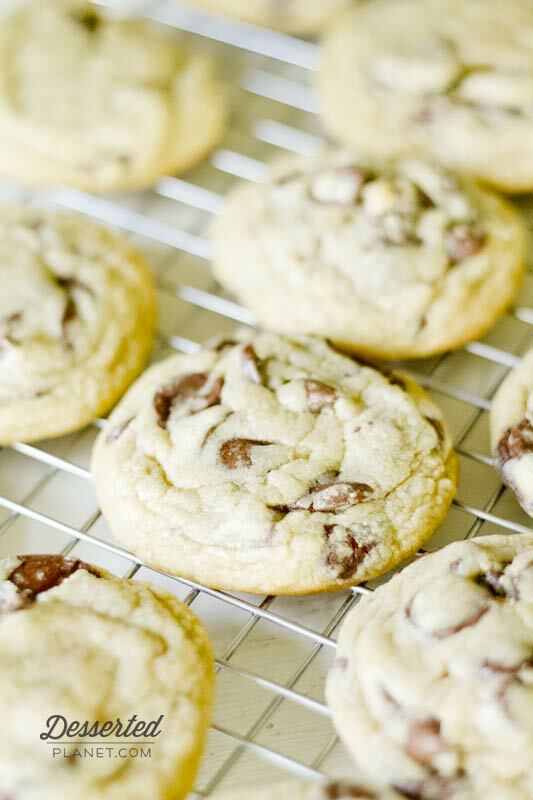 I’ve always struggled to find the ideal chocolate chips cookie which in my mind is thick, soft and slightly chewy. This N.Y. Times Chocolate Chip Cookie was good, but a little flat for my preference and didn’t quite hit the mark. Then, I saw this recipe by Sally’s Baking Addiction and had to give it a try. I had made her Soft Baked Monster Cookies which were PHENOMENAL so I had full confidence she knew what she was doing when it came to cookies and was excited to try her recipe. And I was NOT disappointed. Seriously, the perfect thickness and so soft and chewy at the same time. Amazing. I was SO happy, I think my search for the perfect chocolate chip cookie is over! Preheat oven to 350 degrees and line two large baking sheets with parchment paper. In the bowl of an electric mixer, cream the butter and sugars together on medium speed until fluffy and light in color. Mix in egg and vanilla. Scrape down the sides as needed. On low speed, mix in flour, cornstarch, baking soda and salt. Stir in chocolate chips. Roll dough into 1½" balls with the palms of your hands and place about two inches apart on cookie sheet. Bake for 8-9 minutes (I did 4 minutes, rotated pans and switched racks and did 5 more minutes) until barely golden brown around the edges. Let cool for 2 minutes on cookie sheets and transfer to a cooling rack and let cool completely. I’ve mentioned before that I have a slight, very minor obsession with ooey gooey butter cake. Red Velvet and Blueberry, Chocolate and Strawberry Lemonade are just a few that I’ve done and trust me, there are many more I’d like to do. I just don’t want to bore you all! However, this Ooey Gooey Carrot Spice Cake is in a whole other realm of yum and I’m pretty sure you’ll be glad I went with my obsession this week. 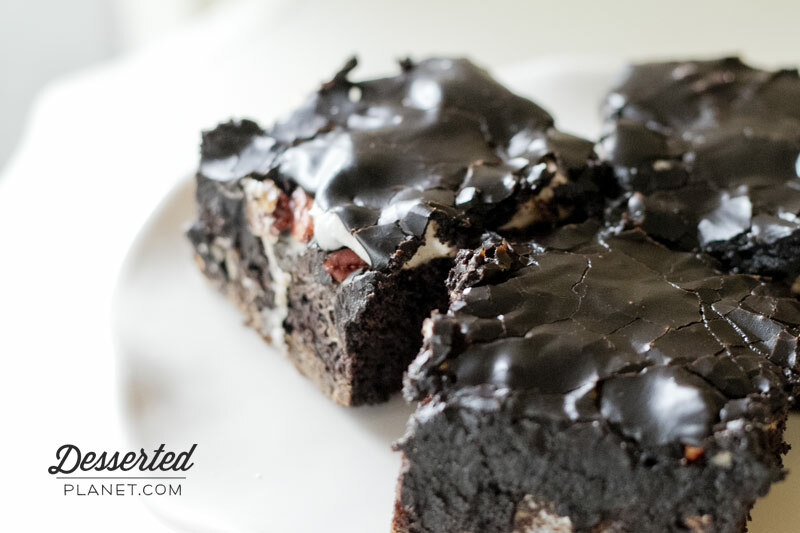 So how good is this ooey gooey cake? Let’s just say my husband took one bite and then proceeded to tell me to remove it from our house immediately! Haha. The bottom layer of spice cake combined with the ooey gooey carrot cake filling is phenomenal. 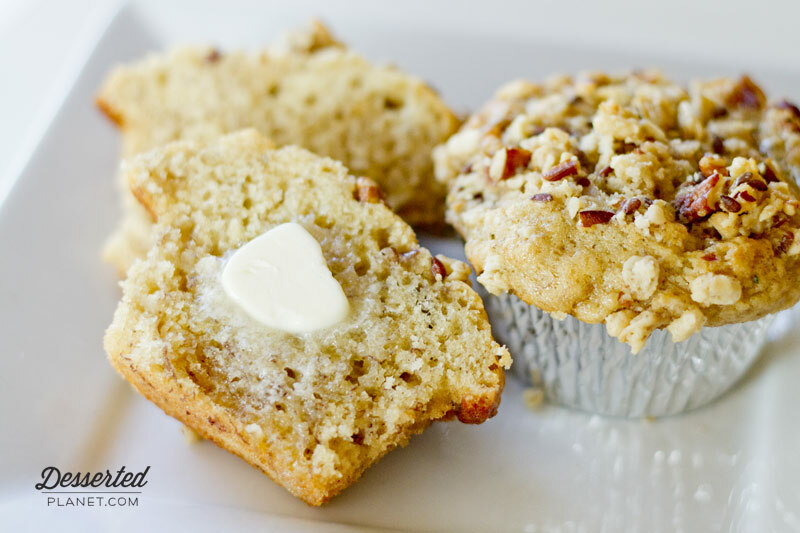 The filling is studded with white chocolate chips, toasted pecans and pineapple tidbits. Yeah, yum. It’s definitely one of my favorite ooey gooey cakes thus far and I think would make the perfect treat this Easter Sunday! 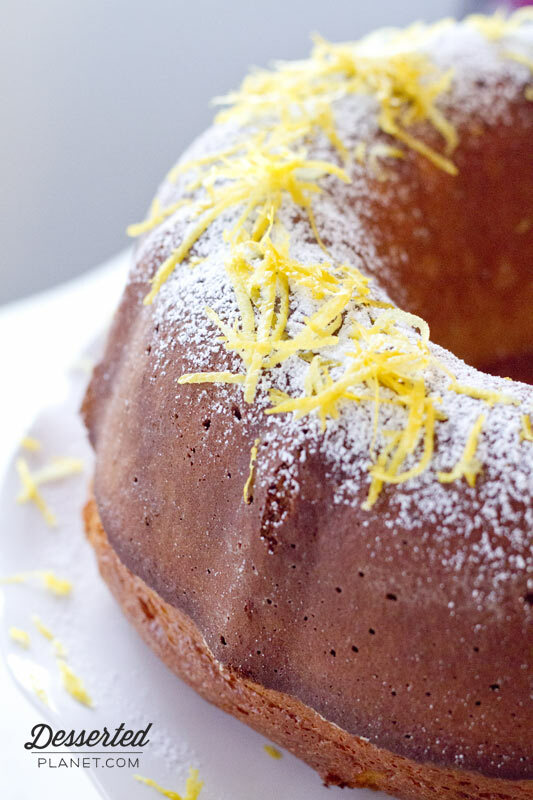 In the bowl of an electric mixer, beat the spice cake, egg and melted butter until combined. Pat evenly into the bottom of the pan and set aside. Still using the electric mixer, beat cream cheese until smooth. Beat in eggs. Dump in powdered sugar and beat well. Reduce speed of mixer and slowly pour in butter until combined. Beat in vanilla, nutmeg and cinnamon. Stir in 1 cup white chocolate chips, pecans, grated carrots and pineapple. Pour evenly over spice cake layer. Sprinkle with remaining ½ cup white chocolate chips. Bake for 40-45 minutes until center is firm. Let cool completely and cut into pieces. 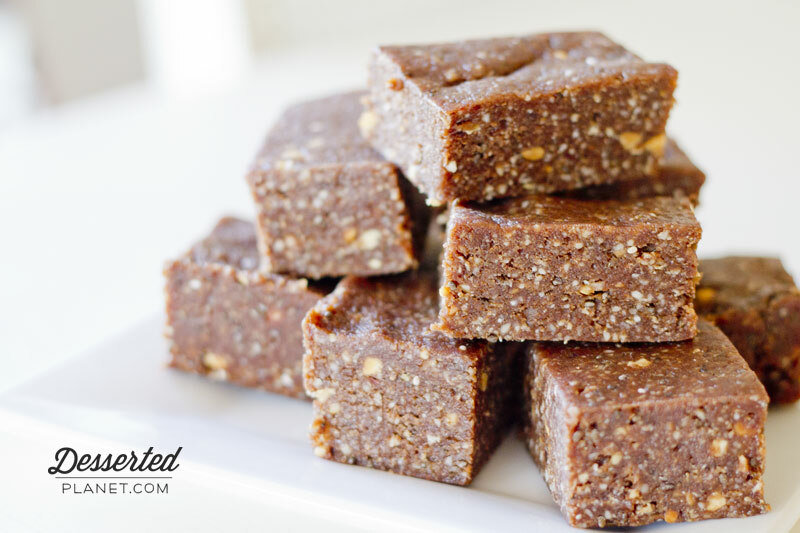 I’ve mentioned in a previous post that Jeremy has been wanting me to come up with a homemade protein bar similar to a Cliff Bar or Larabar but of course cheaper and healthier. 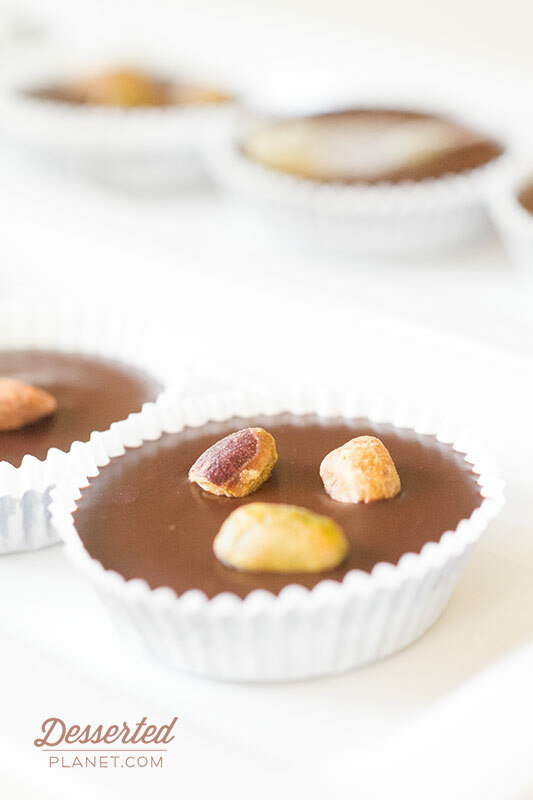 I tried one that I actually REALLY liked and could hardly keep my hands out of (you CAN get too much of a good thing) but he wasn’t really a fan so I moved onto this recipe from The Balanced Platter shared by my cupcake partner in crime, Robyn over at Gluten Free Crazy. And I can safely say we have a winner with this one! Jeremy loves it, I love it and everyone is getting crazy amounts of protein! It’s very chocolatey, very peanut buttery and soooooo yummy. They’re very rich so I cut them into small squares and keep them in the freezer, although they’d probably be fine in the refrigerator also. Great pick me up and healthy dessert option! Line a 9x9 pan with foil, letting it hang over the edges creating "handles". In a food processor, chop the dates into very small pieces. Add the almonds and sunflower seeds and process until a meal has formed. Place in the bowl of an electric mixer. Add the quinoa, oats and chia seeds to the food processor and process until a meal forms again. Add to the bowl of the electric mixer. Add the peanut butter, agave, protein powder, cocoa and vanilla to the bowl of the electric mixer and beat everything on low speed until it is well-blended and starts to clump together. Form into a ball and press evenly into the bottom of the 9x9 pan. Freeze for 1-2 hours until firm, lift out of the pan and place upside down on a cutting board. Peel away foil, turn bars over and cut into 1½" squares. Store in freezer. 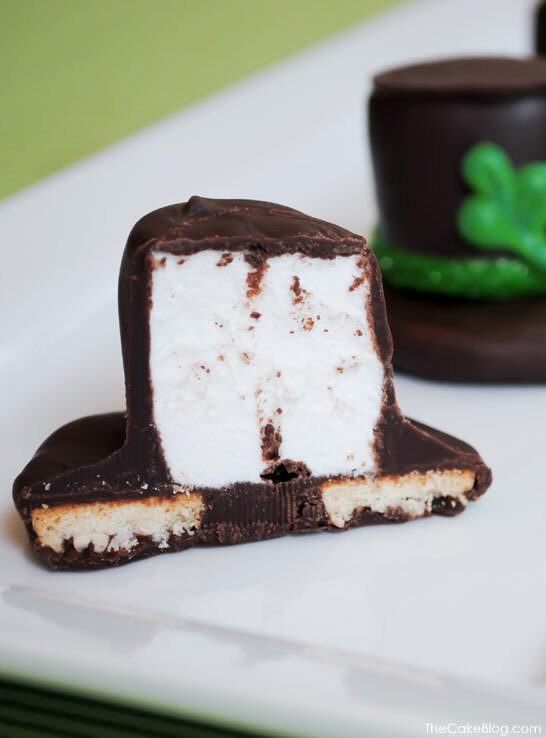 One more last minute St. Patrick’s Day idea–Leprechaun Hat S’mores! 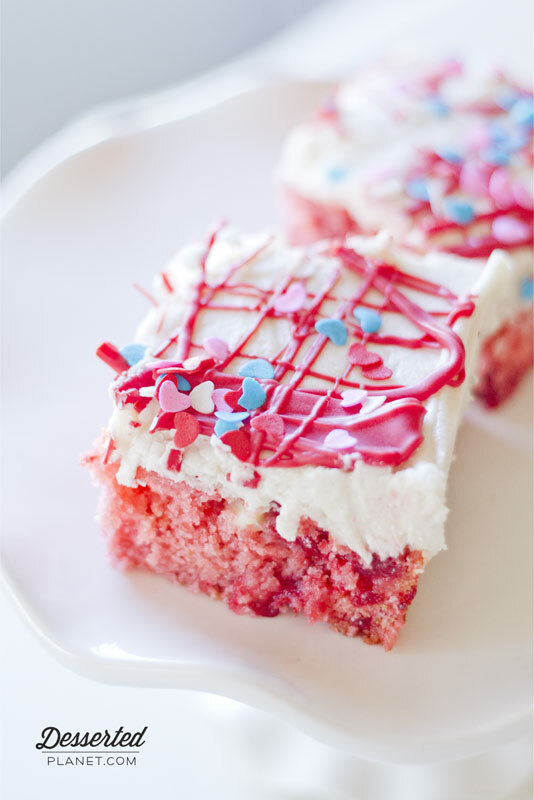 Courtesy of The Cake Blog, this treat doesn’t get any easier or yummier. I mean seriously, how cute is this?! Cookies and marshmallows?? I am SO there! Thanks to The Cake Blog for this ingenious idea–we love it! 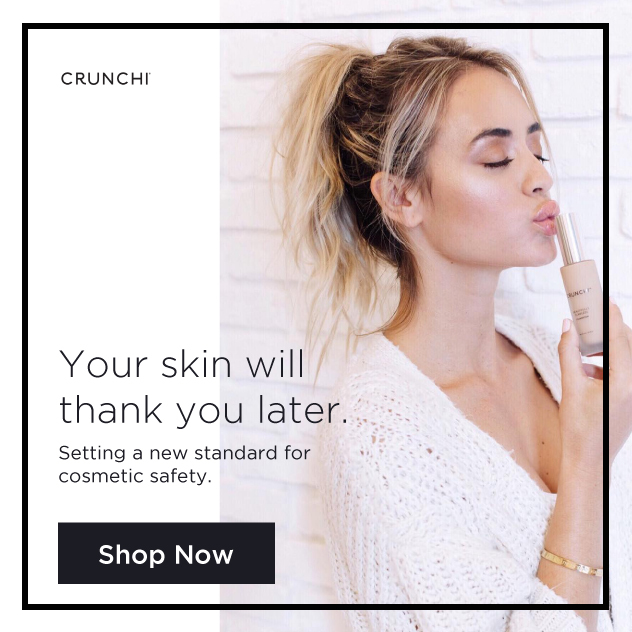 Get all the details on how to do it yourself here! I know there are many holidays right around the corner that I should be blogging about…St. Patrick’s Day, Easter, Mother’s Day, Father’s Day….on and on and on. But yesterday I had an INSANE craving for banana muffins so I went with it! And I’m SO glad I did. 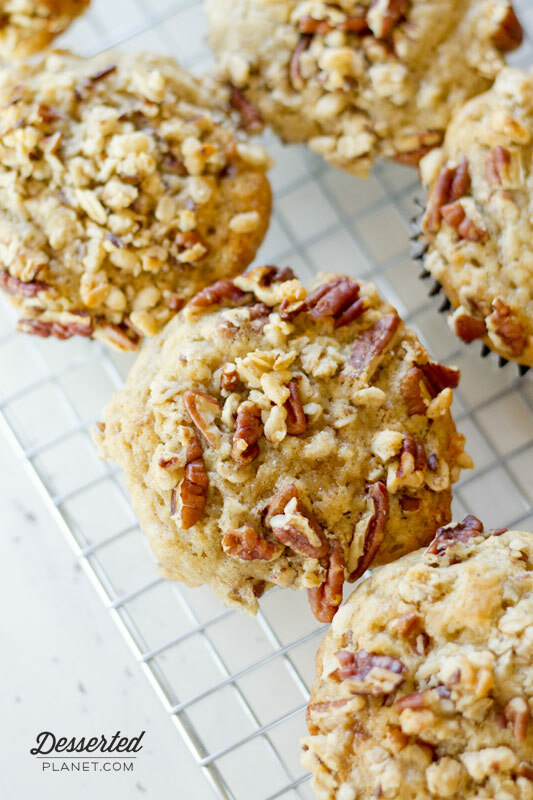 These banana muffins are to. die. for. Seriously some of the most moist, flavorful, yummy banana muffins I have ever had. The original recipe is by Ina Garten so you know you’re off to a good start when you begin with one of her fabulous recipes. I made some minor changes and was so pleased with the results! 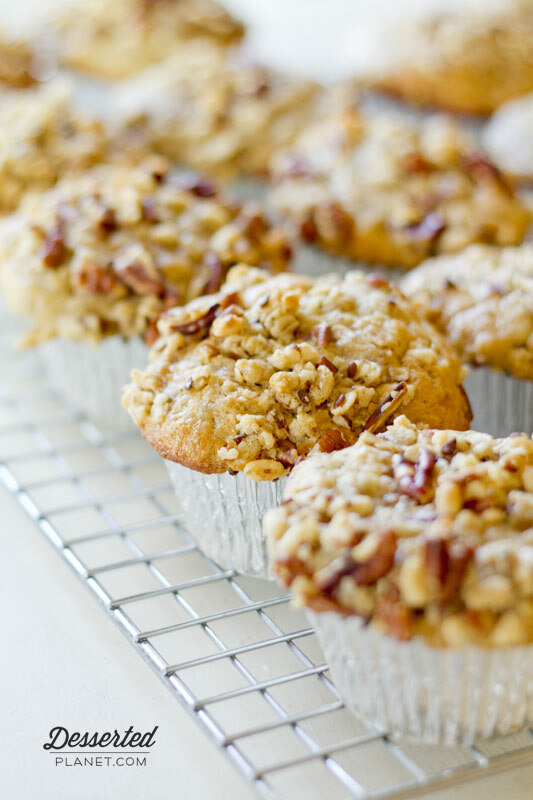 Treat yourself to these for breakfast tomorrow morning…but make them tonight! They are even better the next day! Preheat oven to 350 degrees. Line 24 muffins cups with liners. In the bowl of an electric mixer, whisk together flour, both sugars, baking powder, baking soda and salt. With the mixer on low, beat in the melted butter. Whisk together the milk, eggs, vanilla and bananas and add to the flour-butter mixture. Mix until everything is just combined--do NOT overmix. Scoop ⅓ cup batter into each muffin cup. In a small bowl, mix together pecans, granola and melted butter. Spoon a couple of tablespoons over each filled muffin cup. Bake for 20-25 minutes (mine were done at 23) until the tops are brown and a tester inserted comes out clean. Cool for a few minutes and then remove from the pan and cool completely. 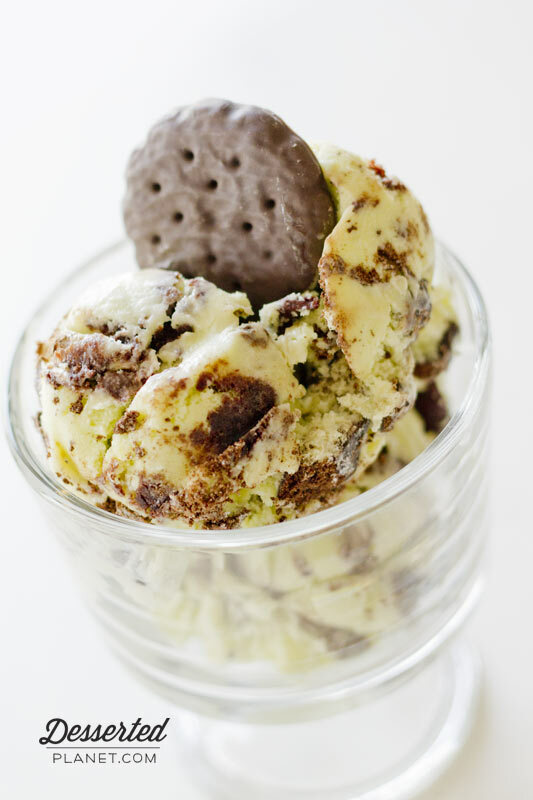 I have found my new favorite thing–homemade ice cream. Believe it or not, I have never made homemade ice cream! I mean, I’ve made my parents recipe which is DIVINE and probably will be my all time favorite, but it’s a no-cook, eggless recipe so it’s a little different than this one. Yes, this one had eggs, had to be tempered, the whole nine yards but honestly it was NOT hard and turned out soooooo good. 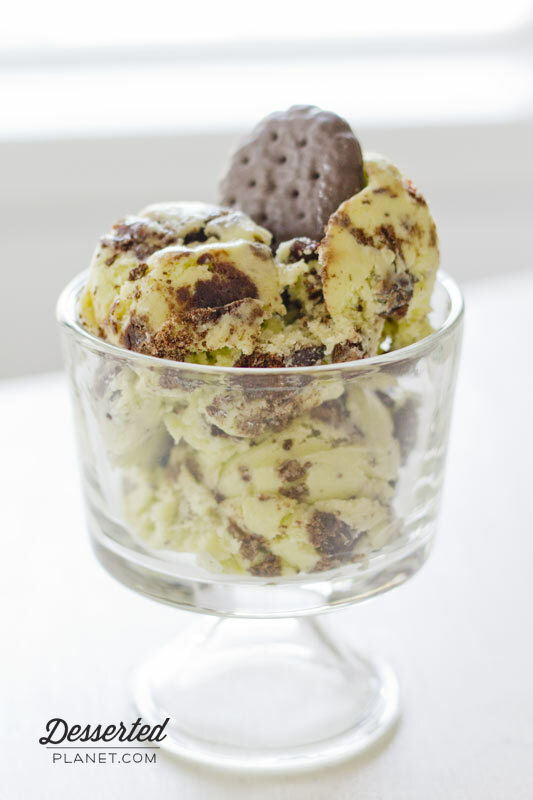 For my first ice cream adventure I chose to do a Thin Mint Brownie Ice Cream with REAL mint, tons of crushed cookies and chunks of dark chocolate brownie. Oh and a chocolate chip swirl! Just for good measure. And I have only one thing to say about it–YUM. Actually, MAJOR YUM. Seriously people, this stuff is so, so good. Rich, creamy and totally addictive. I will NEVER buy ice cream from the store again. It does take a little forethought as you need to steep the mint and also let the final mixture chill but it could definitely be done in one day, just in time for after-dinner dessert if you start it early enough! I’ll definitely be experimenting more with flavors in the future so be warned–lots of ice cream recipes in the near future! Haha! Combine cream, milk, mint and salt in a medium saucepan over medium heat. Bring to a simmer. Remove from heat, cover and let steep for 1 hour or overnight in the fridge (I let mine steep for 2.5 hours and it was definitely strong enough). In a large bowl, whisk together sugar and yolks. Remove mint from cream mixture and discard. Bring milk mixture to a simmer over medium heat. Using a measuring cup or ladle, slowly pour about ½ c. hot milk mixture into the egg-yolk mixture, whisking constantly. Continue adding milk mixture, about a ½ c. at a time, until it has all been added. Pour mixture back into saucepan and cook over low heat, sitrring constantly with a wooden spoon, until mixture is thick enough to coat the back of wooden spoon, about 10 minutes. Stir in vanilla. The custard should retain a line drawn across the back of the spoon with your finger. Pour through a fine sieve into a medium bowl. Stir occassionally until cooled. Cover and transfer to refrigerator until chilled, at least one hour or overnight (I chilled mine overnight). Pour custard into a 2-quart ice cream maker and process according to manufacturer's instructions until set but not hard. Toward the end of the freezing, add green food coloring, if using. Pour into an air-tight container and stir in cookies and brownie chunks. Swirl in melted chocolate chips. Freeze for at least four hours or overnight. 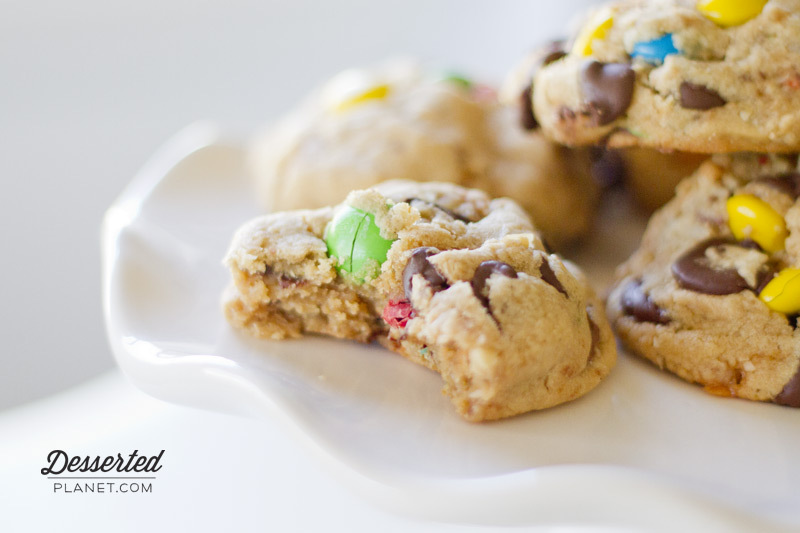 Cake mix cookies…or as some call them, CRACK cookies. And I will not lie, they are good. But Sarah, they use a cake mix! Yes, I know. And I’ve discovered that very good things can come from cake mixes…such as Chocolate Ooey Gooey Butter Cake, Strawberries & Cream Cake, Strawberry Cakies and even Oreo Cheesecake Cupcakes! And while I much prefer a made-from-scratch-cake over a box mix any day, sometimes when you’re in a pinch and need something quick, a cake mix can be your best friend. Which is totally the case for these cookies. I needed something super quick for a meeting I was going to and recalled having these cookies for the first time at my friend Joelle‘s house. I honestly didn’t believe her when she told me how good they were but once I tasted one, I knew I was in trouble and could probably never trust myself with a batch of them in my house. They turn out super soft in the middle and slightly crispy on the outside. I added semi-sweet and white chocolate chips along with toasted pecans but you really could add in whatever you like and even use whatever cake mix you prefer…spice cake with cinnamon chips, orange cake mix with dark chocolate chips, chocolate cake mix with peanut butter chips…you get the idea! Preheat oven to 350 degrees. Line two large baking sheets with parchment paper. In the bowl of an electric mixer, beat cake mix, oil, eggs and vanilla until smooth and blended. Stir in white and semi-sweet chocolate chips and toasted pecans. Using a large spoon (or use a small spoon if you want smaller cookies..mine spread and turned out quite large), drop onto pan, two inches apart. Bake for 10 minutes (8 minutes if you want them slightly underdone), rotating pans and switching racks halfway through. Let cool on pan for 2 minutes then transfer to a wire rack and let cool completely. Makes about 20, 3-inch cookies. One last recipe before the big day of love tomorrow! 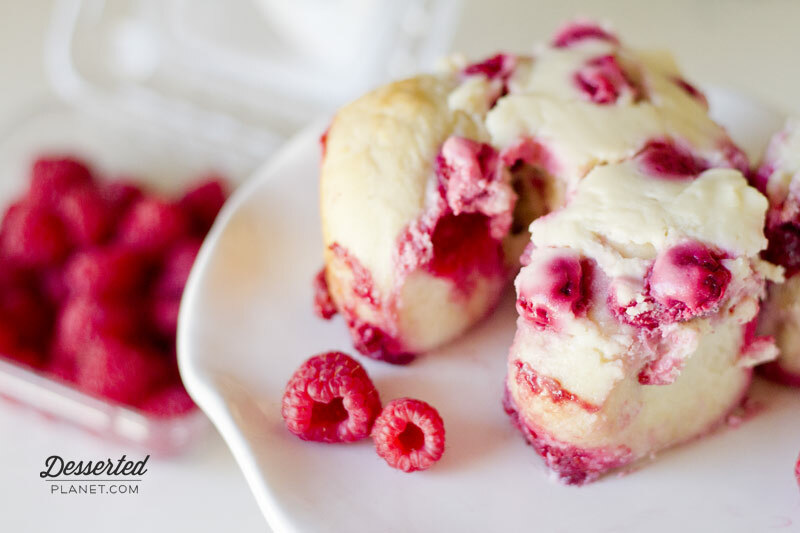 This one is for a super simple and delicious breakfast, Raspberry Cream Cheese Pull Apart-Rolls. 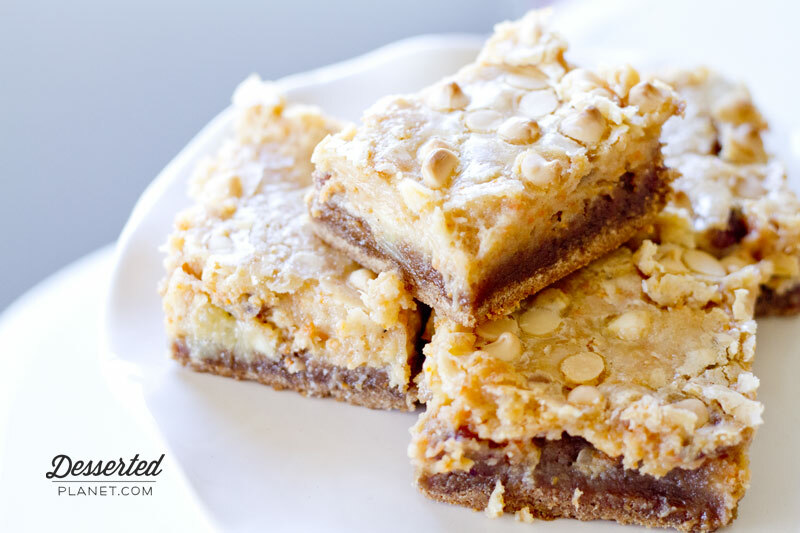 The original recipe was first published in Cooking Light Magazine in 1999. It was a little different with dried fruit and citrus zests and far less fat and calories than my recipe has. But I’m not going for “light” on this one. I wanted full fat and loads of sugar! And that’s exactly what I did. Because it tastes good. 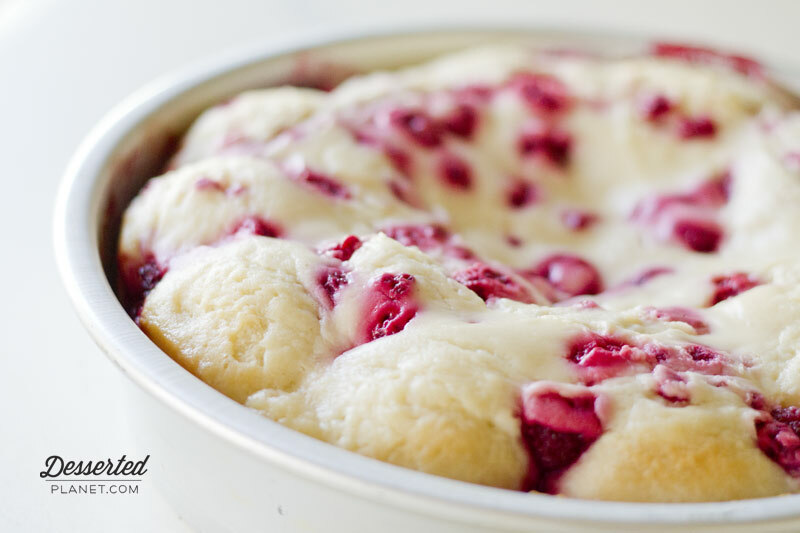 Imagine a soft, fluffy yeast roll, brushed with butter, studded with tart raspberries and finished with a layer of cheesecake topping. That’s what you get with these rolls! They are simply divine. The only thing I didn’t get to do (and regret immensely) was drizzle them with a yummy glaze. I highly suggest whipping up a simple powdered sugar/milk mixture and drizzling it over the rolls while they’re still warm. Just too add a little more sweetness since the only sugar is in the cheesecake mixture. They would make a great Valentine’s Day breakfast treat or even dessert! Thaw rolls at room temperature for 1 hour. Place 36 rolls in two, 9-inch round pans (18 rolls in each), coated with cooking spray. Brush melted butter evenly over rolls. Cover and let rise in warm place, free from drafts for 1 hour. In the bowl of an electric mixer, beat cream cheese and sugar until smooth. Beat in eggs and vanilla. Sprinkle rolls with frozen raspberries and then pour cream cheese mixture over rolls. Cover and let rise 1 hour. Preheat oven to 350 degrees. Bake rolls for 35-40 minutes. Remove from oven and drizzle with powdered sugar glaze. OVERNIGHT VARIATION: After pouring the cream cheese mixture over rolls, cover with plastic wrap and refrigerate 12 hours. Remove plastic wrap from rolls and let stand at room temperature for 1 hour. Proceed with baking the rolls as directed. 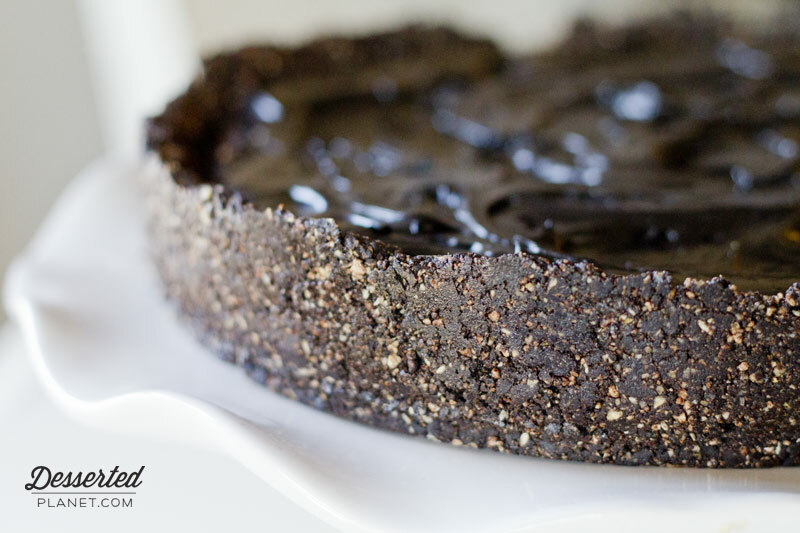 If I told you this scrumptious looking Chocolate Fudge Tart was gluten free, dairy free, has ZERO refined sugar and is no-bake, would you believe me? Well, it’s totally true! I used this recipe from Deliciously Organic and modified it just a bit to my liking. What resulted was one of the richest, most delicious things I’ve ever had. 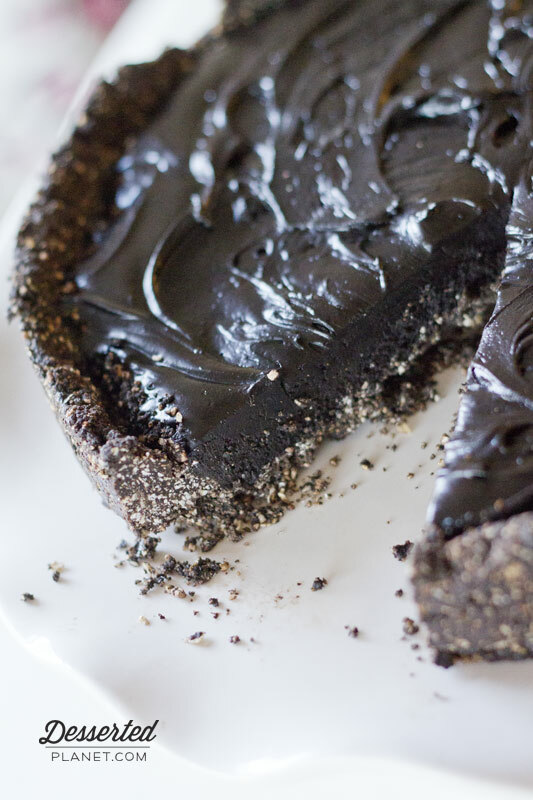 If you like super dark chocolate and fudge, this is the recipe for you. 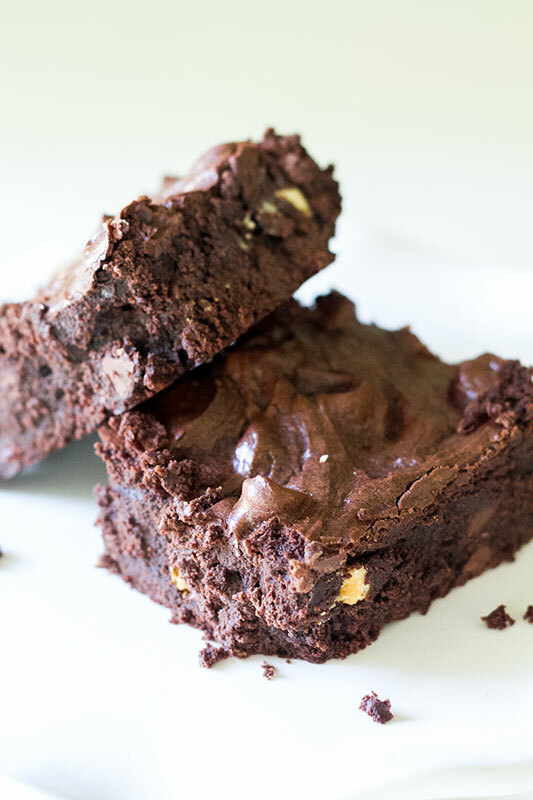 And if you don’t like super dark chocolate and fudge…what’s wrong with you?!?!! 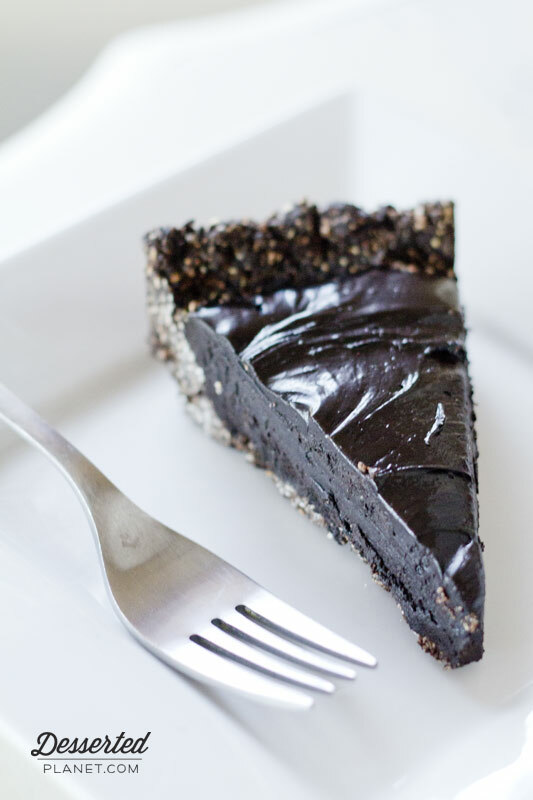 I love that the crust uses almond meal…it’s absolutely delicious in the recipe. 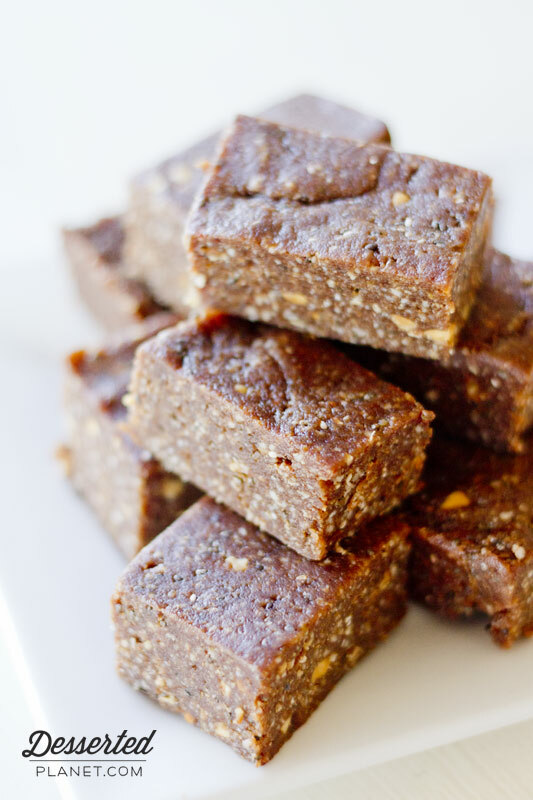 Little confession though…I had to use half almond meal and half oat flour (which I just made by processing organic rolled oats in my processor) because I ran out of almond meal. It was still delicious and I might just make it that way from now on. As with all “healthy” treats, this one still has calories and sugar, just not the refined, overly processed junk. So use moderation but definitely feel free to indulge without guilt! Make it for someone you love this Valentine’s Day! Lightly oil or spray a 9-inch springform pan with non-stick cooking spray. In a large bowl, whisk together the almond meal, cocoa powder and sea salt. Stir in the agave and coconut oil until large clumps form. Press into the bottom and up the sides of springform pan. I have one of the cutest posts for you guys today. I really can’t say that about many of the recipes I make because while they are delicious and look yummy, they aren’t necessarily cute or works of art. Not that I’m saying these tassies are works of art but they took a little more effort than I’d normally put into a recipe! What’s a tassie, you ask? 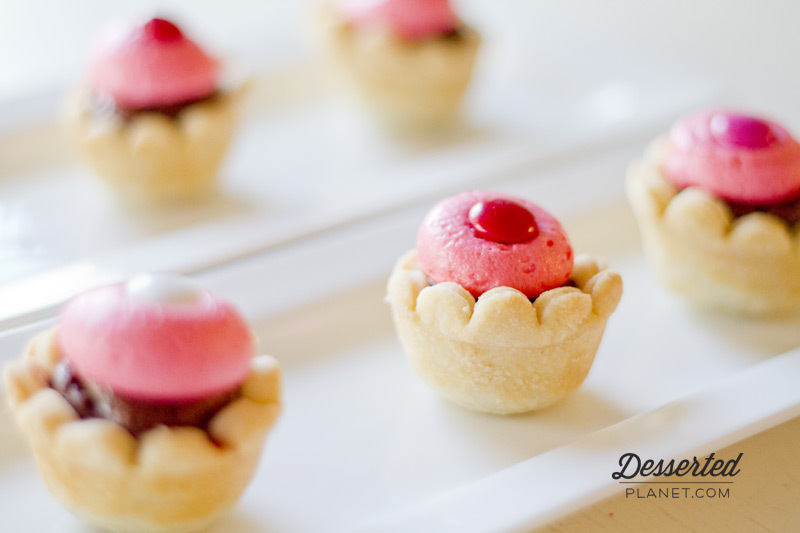 Basically tiny, teeny miniature pies. About two bites worth. This is a recipe that I’ve had forever and used alot when I was catering, which also means I’ve never shared it! But when I saw this idea for the cute flower shape on Pinterest (I know, I know…you thought I was just that brilliant, right?!) I knew this would be the perfect recipe. You start with a cream cheese crust, which I personally love because it has just a hint of tang from the cream cheese. I rolled the crust out and used a tulip shaped cookie cutter and then very gently pressed them into miniature muffin tins. 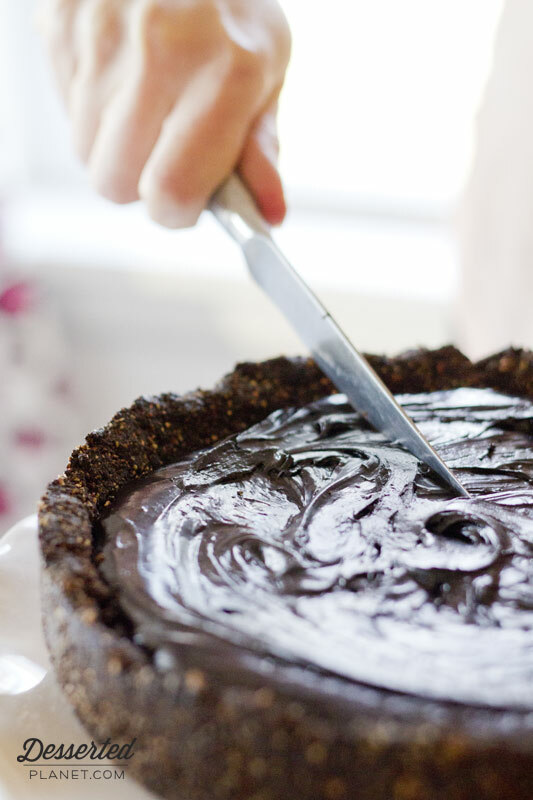 Be extra careful not to puncture the crust even a little with your fingers/fingernails because the filling will seep through and you’ll have a mess! It happened to me on two of them. Bummer. Anyway, I then filled them with a dollop of raspberry preserves and about a teaspoon of a fudgy, brownie-like filling. 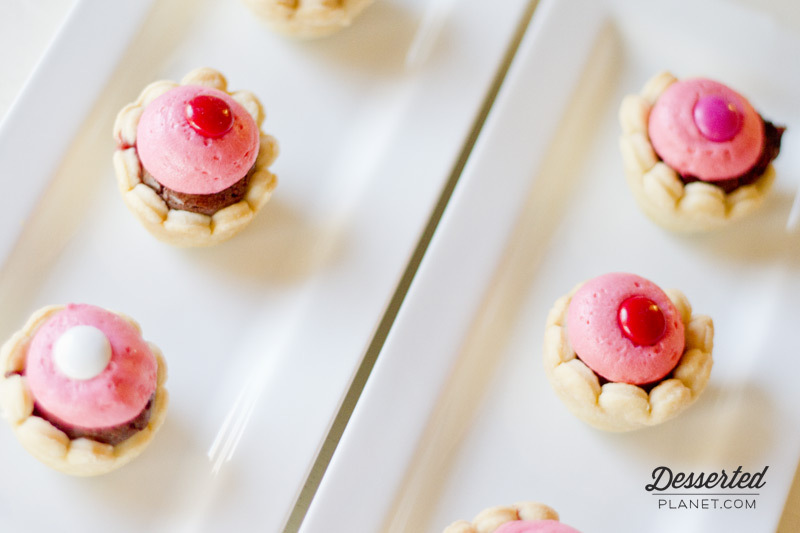 Top it with buttercream and a cute M&M and you have tulip tassies! I thought they were adorable. And SO perfect for Valentine’s Day. Truly not difficult to make and not even that time-consuming, just a little extra effort. If you want to skip the cookie cutter, just shape the dough into 24, 1″ balls, place in the bottom of the miniature muffin tins and press down and up the sides of the tin. They’ll still be super cute and every bit as delicious. In a small saucepan, melt the chocolate chips and butter over low heat. Remove from heat and stir in the sugar, egg and vanilla. Place a ½ teaspoon of raspberry jam into each muffin tin. 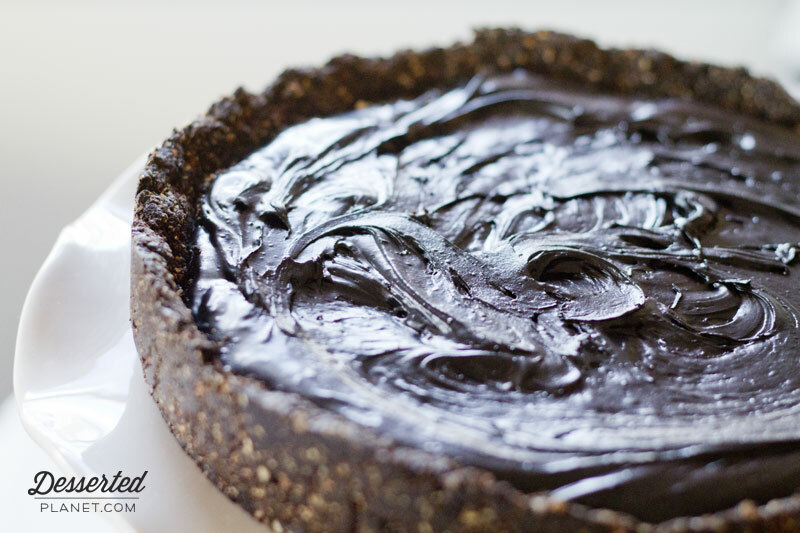 Cover with 1 teaspoon of the fudge filling. Bake for 20 minutes or until pastry is golden and filling is puffed. Let cool completely. Beat the butter and shortening on medium speed until creamy. Beat in the powdered sugar, heavy whipping cream and vanilla until creamy and smooth. Beat in pink food coloring if using. Pipe a small amount of buttercream onto each cooled tassie and top with a Valentine M&M. I have not found a cookie in awhile that it is hard to stop eating. 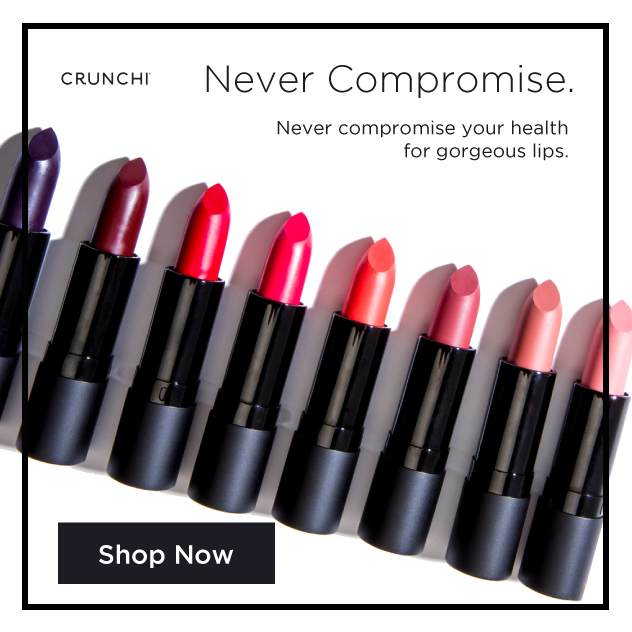 You know, not so rich that you can only handle a few bites and then you’re done? But more along the lines of “Wow, those are so good I can’t believe I just ate five!!!”. Yeah, that. 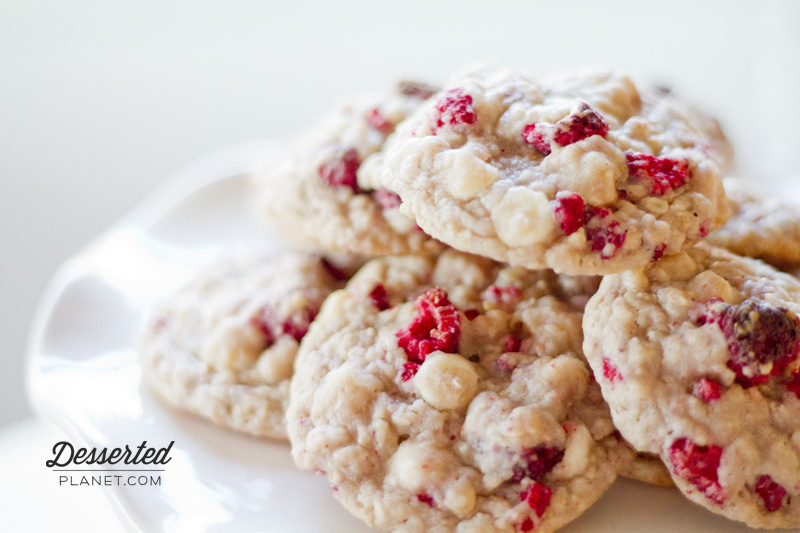 Let me introduce you to these White Chocolate Raspberry Cookies. They are soooooo good. The kind of good you can’t just stop at one with. The are so soft and slightly crisp around the edges and the tartness of the freeze-dried raspberries sets off the sweetness of the white chocolate perfectly. And I love the slight chewy texture from the oats. Yep, can’t make these often or we’ll be spending extra time at the gym! Oh and the bright pinkish red bits make them a lovely treat for Valentine’s Day, don’tcha think? Preheat the oven to 350 degrees. Line two large baking sheets with parchment paper. In a large bowl, whisk together the flour, oats, baking soda, baking powder and salt. 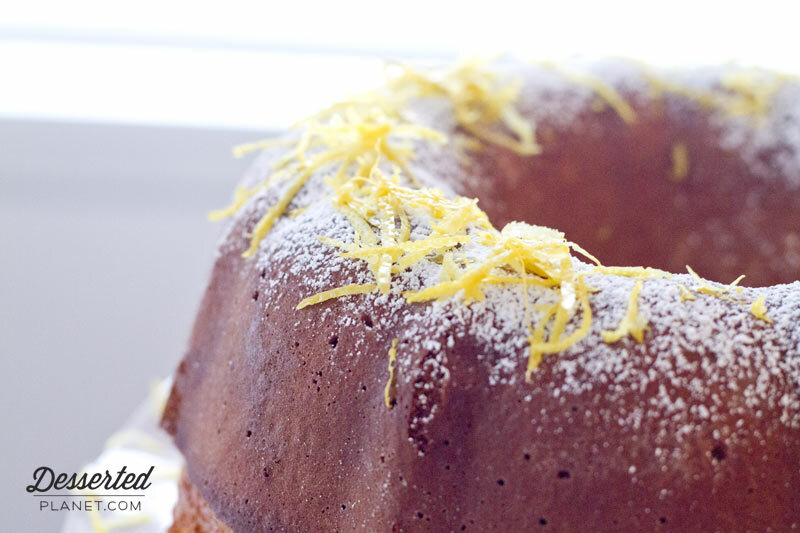 In an electric mixer beat the sugar and butter at medium speed until light and fluffy. Beat in the eggs, one at a time, then the vanilla and raspberry jam. Slowly beat in the flour mixture. Beat in the white chocolate chips. Gently fold in the freeze-dried raspberries. Roll into 1½" balls and place on baking sheet. Bake for 10 minutes, rotating pans and switching racks halfway through. Let cool on pan for 2 minutes then transfer to wire rack and let cool completely. One more Superbowl recipe before the big game this weekend! Who is watching? Do you even care about the game and teams or is it ALL about the food?! I say food, duh. We’re having a party at our house and I can say with certainty I am looking forward to the food the most. I have some friends who are fabulous cooks so I know we’ll have quite the spread! I found these cookies a couple of weeks ago via Sally’s Baking Addiction (fabulous blog I JUST discovered–where have I been?!) 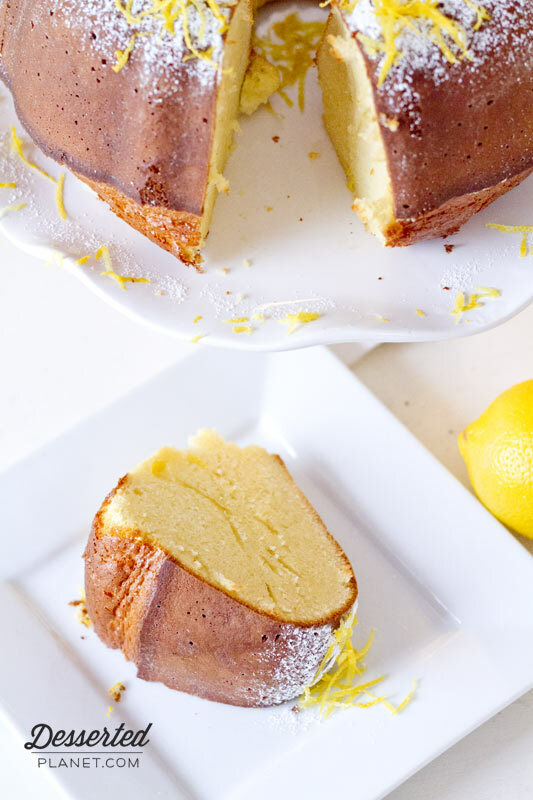 and she has hit it out of the park with this recipe! 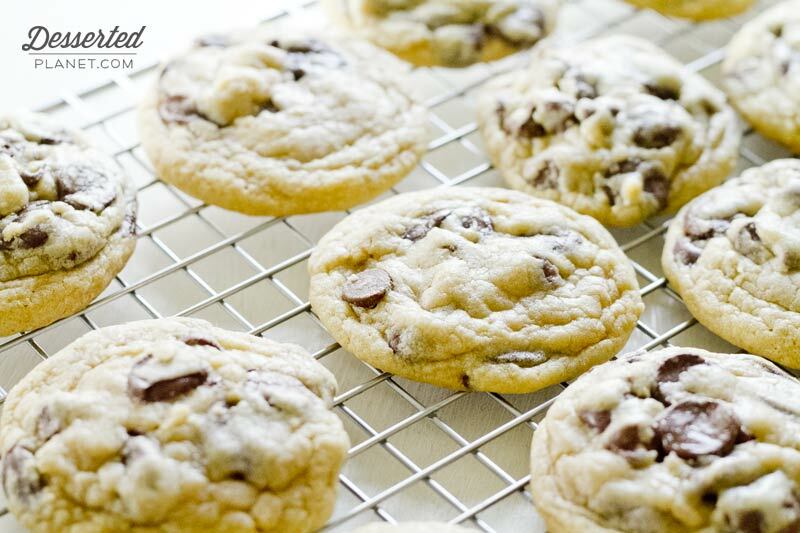 I have trouble getting cookies to bake up soft, thick and chewy and these Soft-Baked Monster Cookies fulfill all three of those requirements perfectly! The only thing I’d do different next time is use MORE crushed Butterfingers and throw in some Reese’s Pieces! I knew there was something I was missing after the fact and it hit me that Reese’s Pieces would be PERFECT in these cookies, along with all the other add-ins. 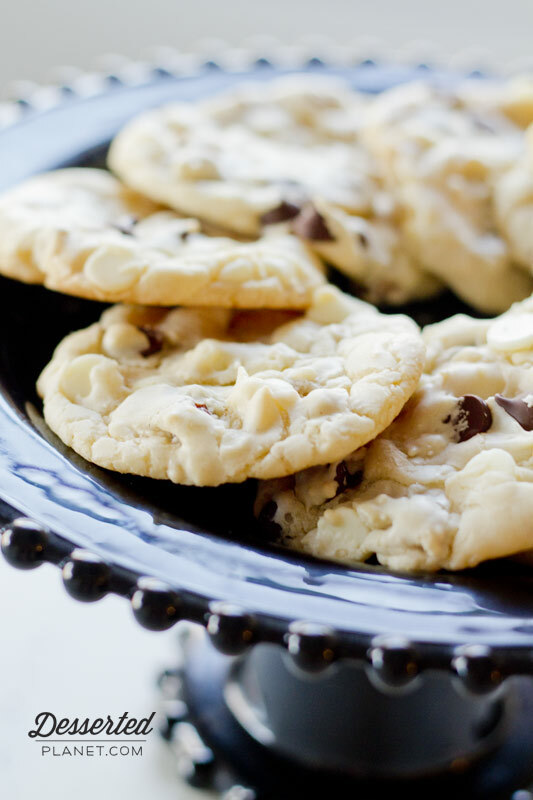 Set out some milk along with these cookies at your Superbowl party! People will need it! In the bowl of an electric mixer, beat butter and sugars on medium speed until light and fluffy, about 3 minutes. Mix in peanut butter and then eggs, one at a time, then the vanilla. Whisk together the flour, salt, baking soda and oats and mix into the butter/egg mixture on low speed. 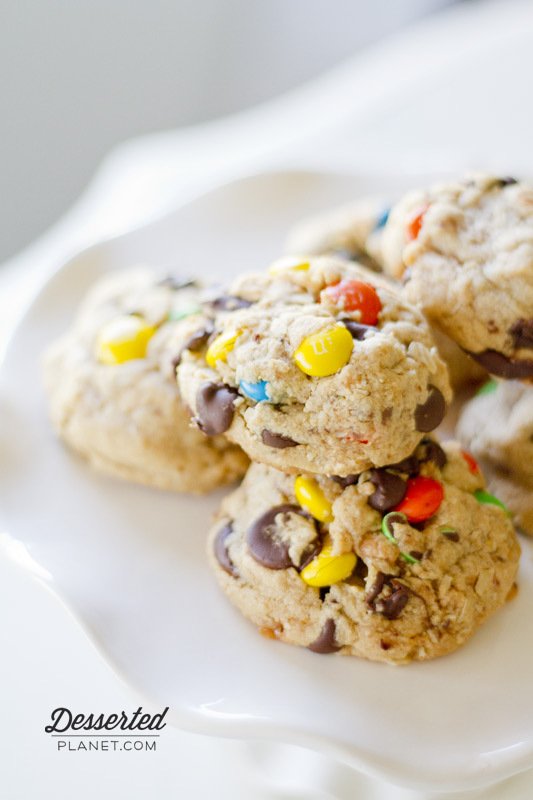 Mix in the M&M's, dark and semi-sweet chocolate chips and Butterfingers. Roll the dough into 2 " balls and place about 2 inches apart on the baking sheets. Bake for 10-11 minutes (10 if you want them just slightly underdone), rotating pans and switching racks halfway through. Let cool on pans for 2 minutes and then transfer to wire racks and let cool completely. Store in an air-tight container. So awhile back I made something that consisted of cookie dough, Oreos and brownies and put it in a muffin tin and baked it. It had no name and still doesn’t! 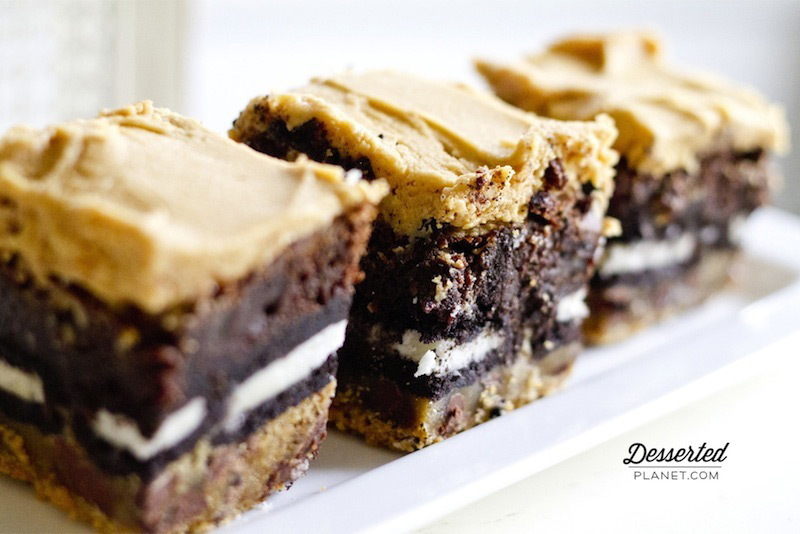 Little did I realize that someone had already done these brownie/bar thingies (of course) and had named them Slutty Brownies. Scandalous! But totally appropriate. 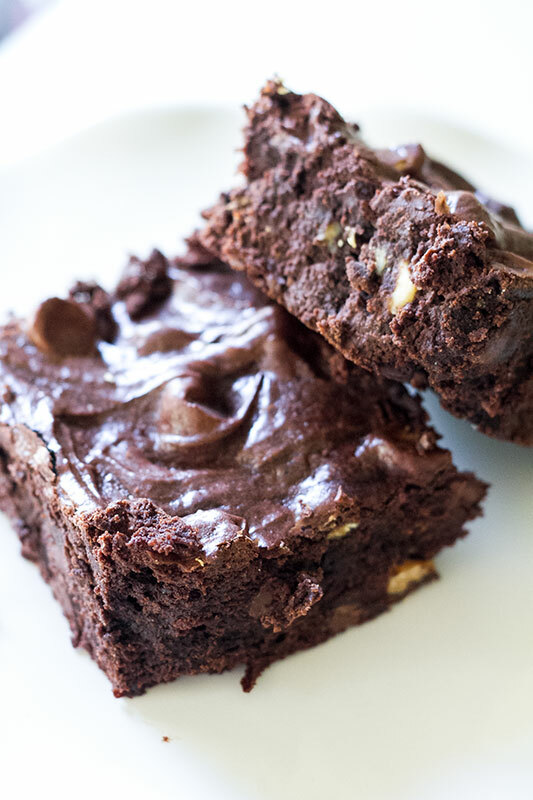 These brownie/bars are amazingly rich, amazingly good and amazingly sinful. Don’t think about the calories…it’s worth it. I decided to revamp my original recipe and do them in a pan, which quite frankly makes a lot more sense than doing them individually in a muffin tin. Duh. Now are you ready for the really good part? I covered them in PEANUT BUTTER FROSTING. I mean we just went from slutty to total whore (excuse my language). 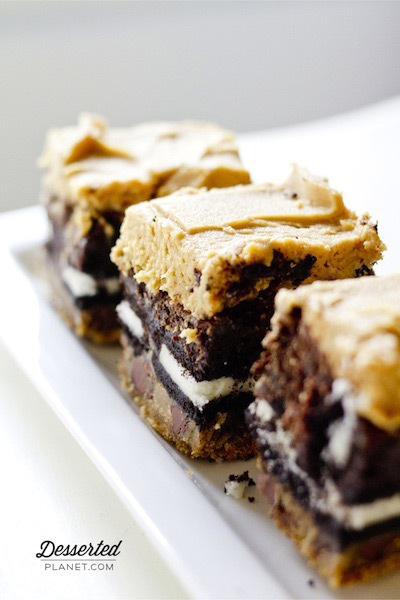 Who doesn’t love brownies, Oreos, chocolate chip cookies and peanut butter frosting?? And altogether in one dessert?! Divine. And rich. Yes, milk is a must for this one. P.S. If you want to save a little time on these bars, you could make both the cookie dough and the frosting ahead of time and just keep it refrigerated until ready to use! 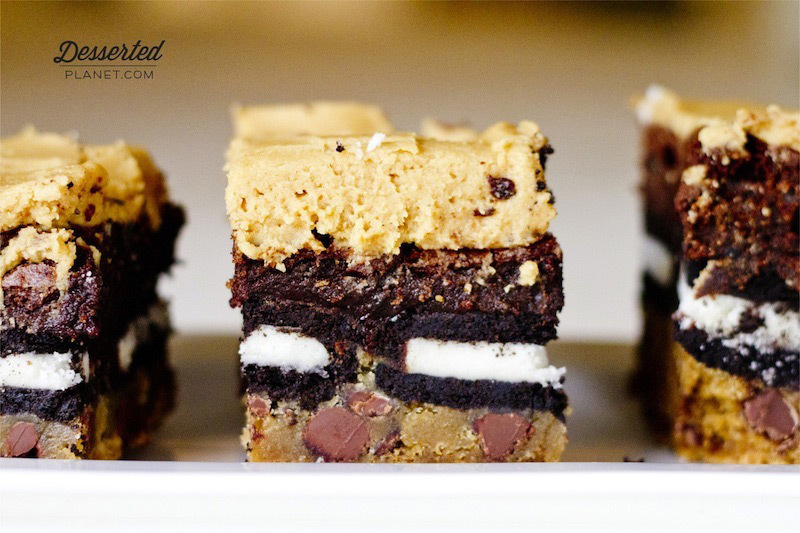 Or you could even use a cookie and brownie MIX. 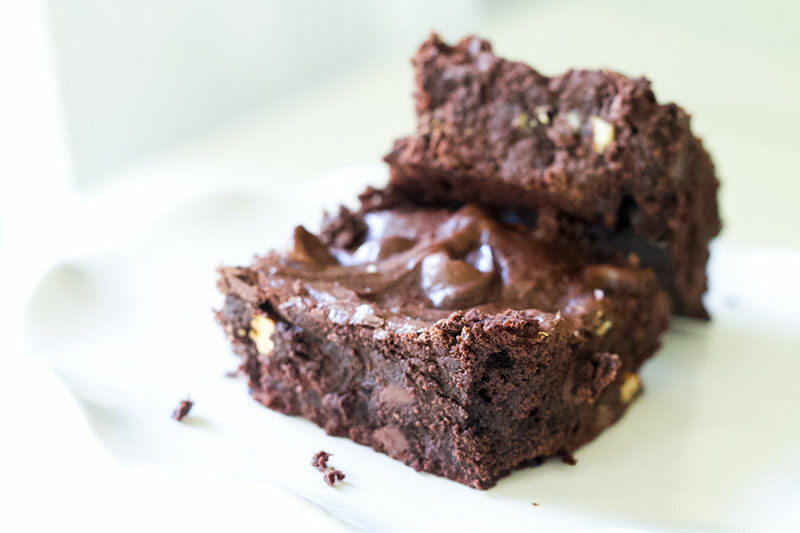 I highly recommend the Ghirardelli Double Fudge Brownies! In a mixer, cream the sugars, butter and shortening until fluffy. Add egg, then vanilla. Whisk together the dry ingredients in a medium bowl and add to wet ingredients. Stir in chocolate chips. Press evenly into the pan. Layer with Oreos. In a medium bowl, whisk together the flour, salt and cocoa powder. Set aside. Put the chocolate, butter and instant coffee granules into a medium bowl and melt in the microwave at 20 second intervals, stirring between each time until completely melted and smooth. Add sugars and whisk until completely combined. Let cool to room temperature. Add 2 of the eggs and whisk until combined. Add the remaining egg and whisk until combined. Add the vanilla and stir until combined. Do not overbeat the batter at this stage or the brownies will be cakey. Sprinkle the flour mixture over the chocolate mixture. Using a rubber spatula (not a whisk), fold the flour mixture into the chocolate. Pour the batter over the Oreos. Bake for 45 minutes or until a tester inserted in the middle comes out clean. Let cool completely on a wire rack and frost with Peanut Butter Frosting. In an electric mixer, beat the butter and peanut butter until smooth. Beat in one cup of the powdered sugar. Beat in half of the heavy whipping cream. Beat in the remaining powdered sugar and heavy whipping cream. Beat in vanilla. 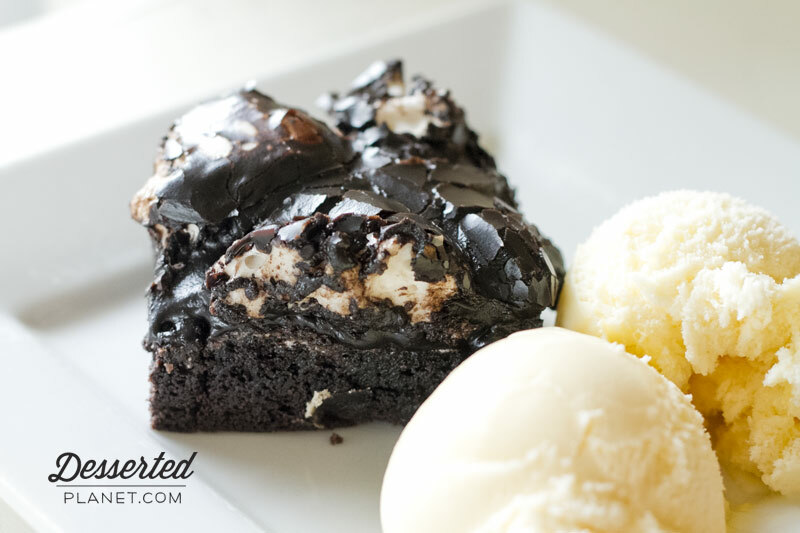 Spread over cooled brownie bars. I am not quite done with Superbowl recipes (I’ll have another later this week! 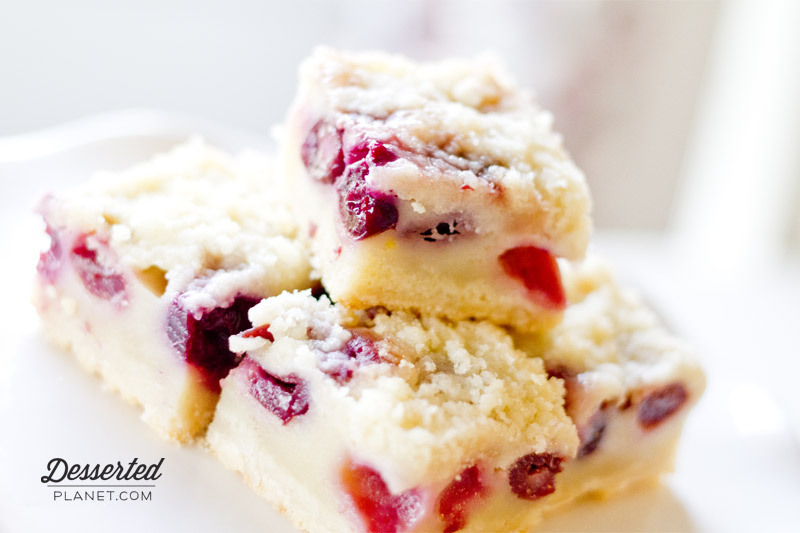 ), but I made these Cherry Pie Bars a couple of days ago and they were so fantastic I couldn’t wait to share the recipe! 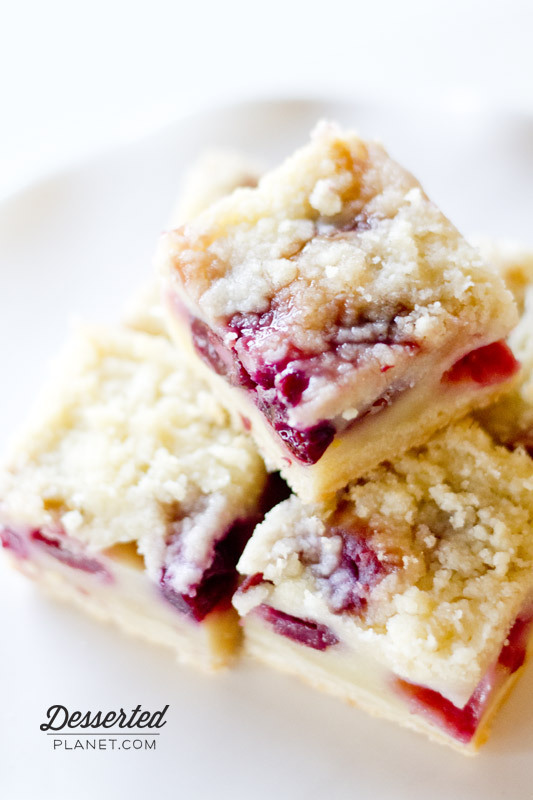 I love anything cherry and combined with the crumbly streusel topping, they are beyond yummy. And so incredibly easy to make. I think they would make a lovely Valentine’s Day treat! Preheat oven to 350 degrees. Grease an 8x8 pan with non-stick cooking spray. Whisk together the flour, sugar and salt in a medium bowl. Cut the butter into ½-inch pieces and add to the flour mixture. Cut in with a fork or use your fingers (my preferred method) until the butter is evenly distributed and the mixture resembles breadcrumbs. 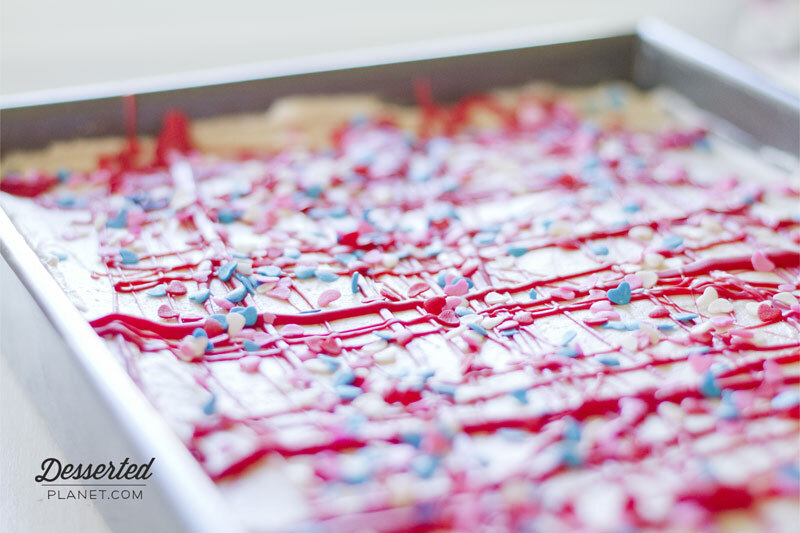 Evenly press ¾ of the mixture into the bottom of the pan and reserve the rest for topping. Bake for 45 to 55 minutes (mine took 55 minutes) until the top turns golden brown. Cool completely on a wire rack before cutting.